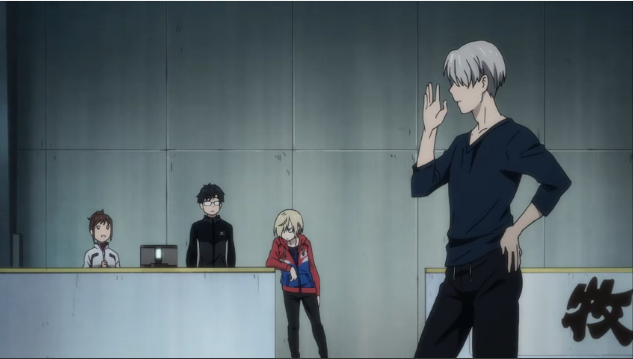 The contest between the Yuri’s are about to begin, with the stipulation that if Yuri wins, Viktor will return to Russia, to aid him with his Senior Debut. When Viktor asks Yuuri what he wants, he responds “ …I want you to stay, and I want us to eat katsudon together.” Yuri is first to go, he is impressive, but he releases that he has failed to grasp the concept of agape. Yuuri performs next and messes up the routine, but manages to please Viktor and the crowd. 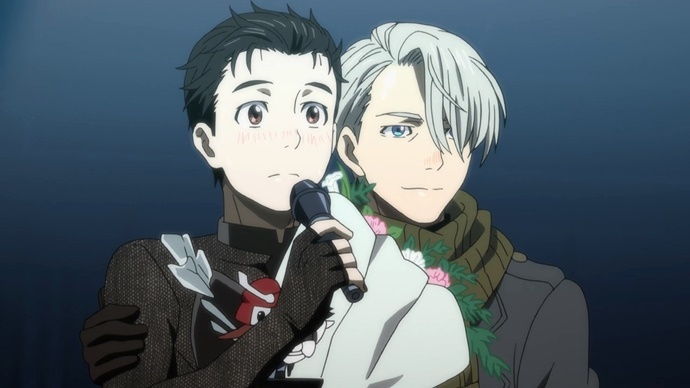 It is clear to everyone including Yuri that, Viktor has chosen Yuuri. The outcome of the episode was rather predictable. While Yuri is clearly the better skater (for now), Yuuri has more heart. I like the fact that Yuuri and Yuri have been a little closer and hope that they become genuine competitors if not good friends. I don’t think that Yuuri will win any real tournaments if he doesn’t actually become a better skate or at least more consistent. 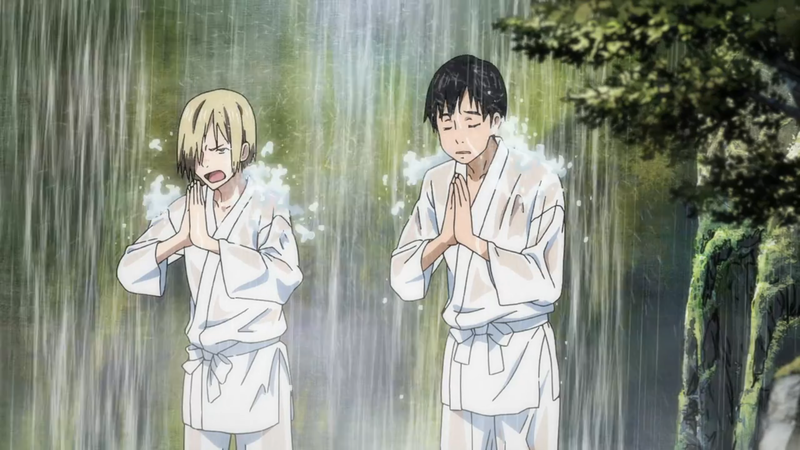 Anyway, another great episode even if it was predictable. It was excellent how they brought the two characters together and how they trained together and helped each other even as they were rivals. It was just a great way to learn about these characters and their respective strengths and weaknesses. Plus, you just know Yurio isn’t going to let it rest there. Thanks for sharing your thoughts.